And since it was a very entertaining movie (okay, let's face it, it has Marc Warren in it. And he's just brilliant. After all, he manages to portray Mr Simpson (Mrs. Simpson is absent in the movie), and not look lik a child molestor...), I decided to read the original book. And it did not disappoint. But back to the book, although honestly, I don't have a lot to say about it. Except that it just made me tremendously happy. Here is a book, written in 1936, with strong, female leads, who are smart, hard-working and compassionate. Of course they're not perfect (there's a couple of moments of selfishness, and arrogance), but it's all part of the learning experience. I would reccomend it to every young girl out there. 'It's the karate kid, but animated and with ballet.' which pretty much sums the movie up. It has some gorgeous animation, and a strong story. The only thing that peeved me a bit, was Felicie (the main female character) wearing those jeans shorts. That seemed so wrong for the time period... 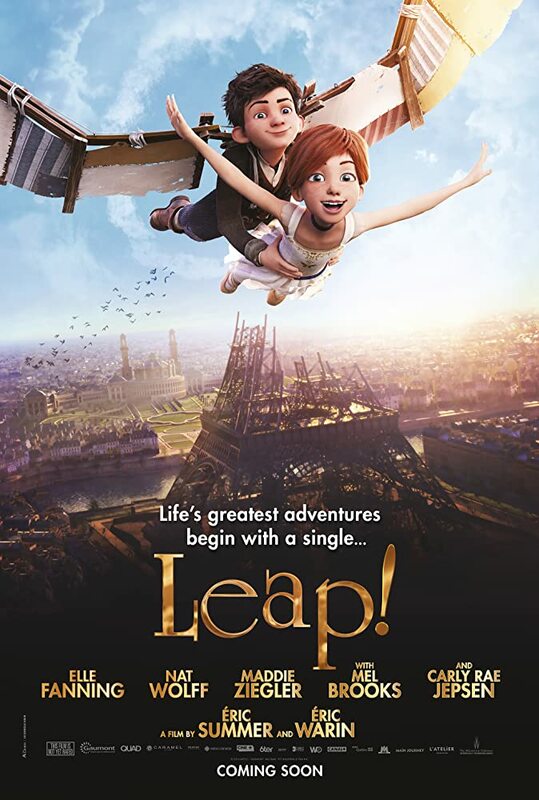 I understand the practical choices, both from a dancers perspective as an animators on, but since the movie is clearly anchored in a time period (they show the Eiffel tower being build on a couple of occasions), I believe the details should match that period. FOLLOW YOUR DREAMS. ANYTHING CAN BE ACHIEVED IF YOU WORK HARD.